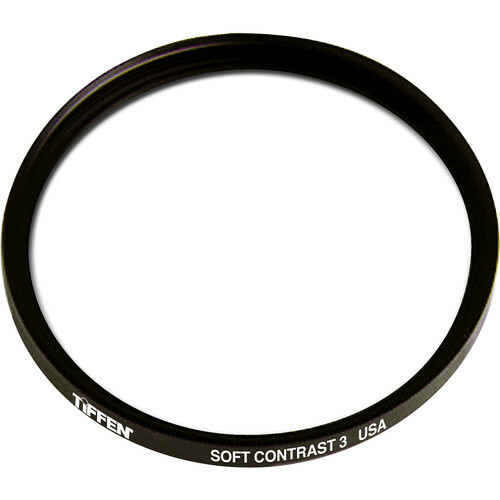 The Tiffen 49mm Soft Contrast 3 Filter is a contrast reduction filter that darkens highlights while maintaining the density of shadows within a scene. The effect of a light absorbing element within this filter is apparent in highlights without requiring a change in overall exposure. Details within bright areas are made more visible without a similar effect on dark areas. Tiffen Soft Contrast filters are available in grades numbering one through five. Each larger numbered grade corresponds to a stronger effect. Darkens highlights within an image while maintaining shadow density. Filter does not affect coloration of the image and does not require a change in exposure.